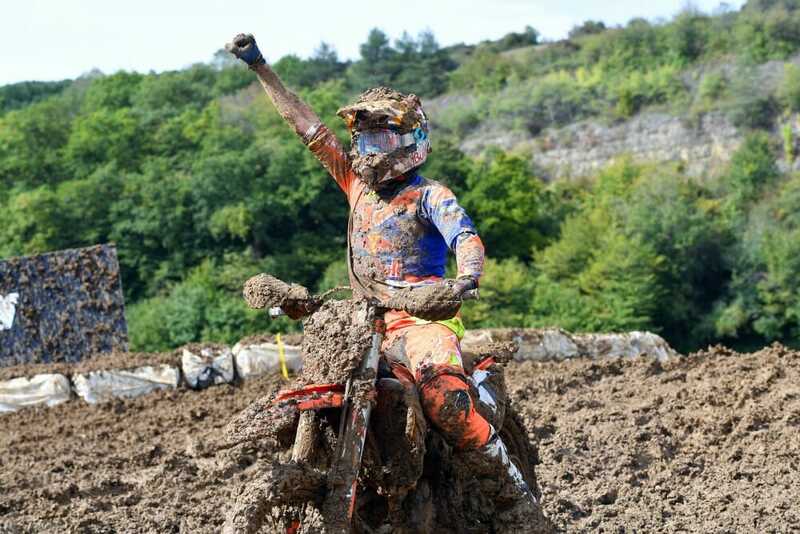 Thomas Covington Wins the MX2 Class in France and Pauls Jonass Takes the World Title for the First Time in His Career. Pirelli Sweeps the Top Three Positions in Both Classes in the Final Championship Standings. 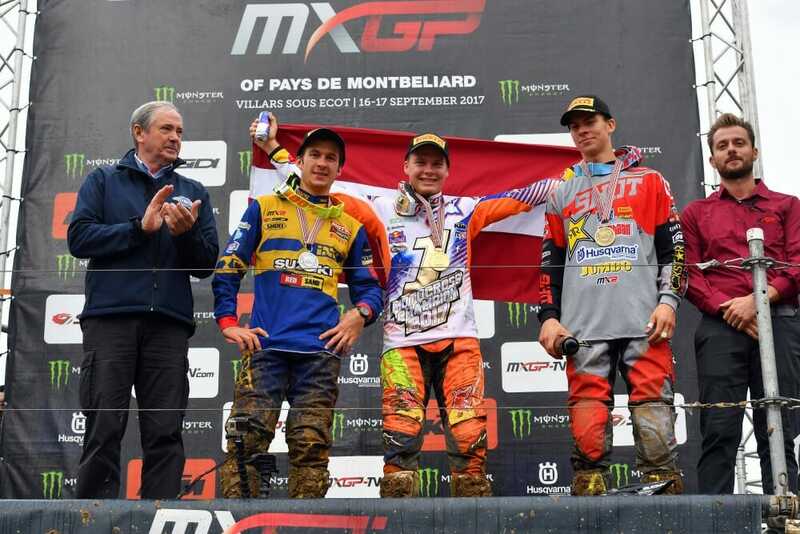 Villars sous Ecot, France (September 19, 2017) – The final round of the 2017 FIM Motocross World Championship was another success for Pirelli. After Antonio Cairoli’s MXGP title, the famous tire brand completed the double in 2017 with Pauls Jonass taking the MX2 crown. On the tough and technical course of Villars sous Ecot, a hard-pack track that became slippery due to frequent rain showers, the new development rear Scorpion MX Soft demonstrated a range of usage beyond expectations and proved to be competitive even in extreme muddy conditions. The Scorpion MX Soft rear with Scorpion MX32 Mid Soft front allowed Pirelli to place their riders in the top five positions of the opening MXGP race. 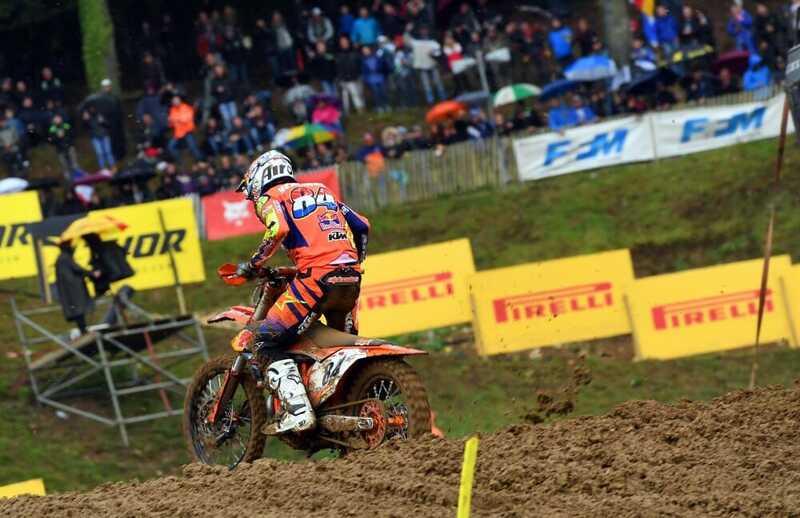 In the second moto with a drying track (until rain arrived again in the last five minutes) Jeffrey Herlings and Max Anstie – first and third in the overall classification respectively – preferred the Scorpion MX32 Mid Soft rear. Tim Gajser, who in race one relied on the Scorpion MX Soft rear and in race two on the Scorpion MX Mud, tied on points with Herlings but had to settle for second place due to the second moto ranking. 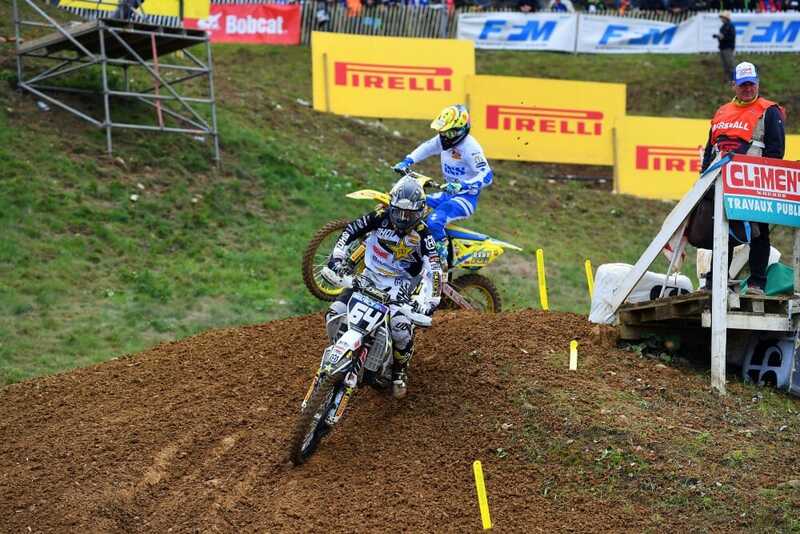 France also saw good performances by Romain Febvre in fourth, Gautier Paulin in fifth and Kevin Strijbos was sixth. Pirelli also won in MX2 thanks to Thomas Covington. First and second in the two races, the American grabbed overall spoils in front of Hunter Lawrence; the victor of the final sprint of the season. Pauls Jonass confirmed the 2017 title in the first race. After falling in the second corner after the start, the Latvian muscled his way through the field thanks to the Scorpion MX Soft rear tire that allowed him to recover from last to fifth position. Jeremy Seewer, the only rider still able to dethrone Jonass, finished the GP in fourth place, right in front of the Latvian. The Grand Prix of the Pays de Montbeliard closed another triumphant season for Pirelli; now with 68 World Titles in motocross. The Motocross of Nations will take place in England at Matterley Basin in two weeks time and close out the 2017 season. Click here for all the latest MXGP news.